All day. I mean, yeah, some of it was spent changing some of my last few diapers (we’re potty training, you see). 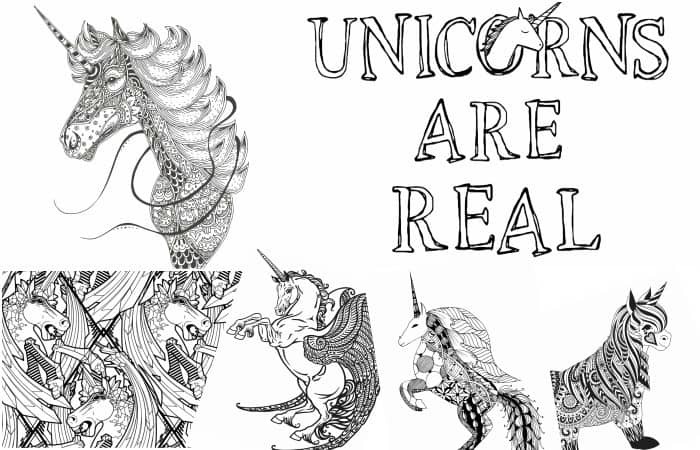 But, finally these 11 Free Printable Unicorn Coloring Pages for Adults are ready for public consumption. 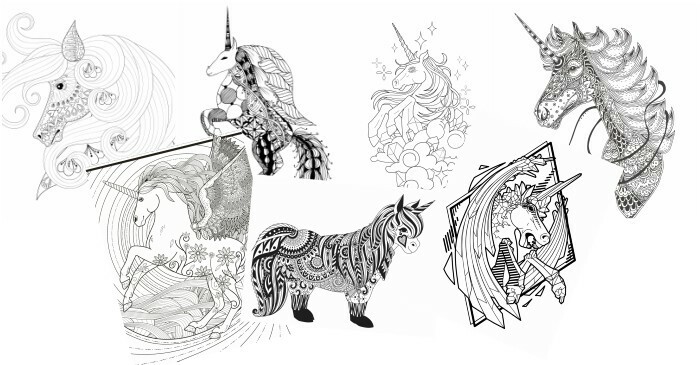 Which, these Unicorn Coloring Pages are actually ready just in time, too. Because granny just came to pick up the kiddos. So, I’m home alone (hubby is in the workshop out back) and I can indulge in some much-needed me-time. I’m so super ready for some me-time. And, I’d use the tub, but it’s full of the kids’ toys. Another option is a massage, but that would mean having to GO somewhere, which who wants to do that when you have the house to yourself?! No, I’m going to stay at home and hit up these 11 Free Printable Unicorn Coloring Pages for Adults. I love unicorns, what can I say?! And, since you’re here, and I’m about to hit up my coloring box, you need to pin this, trust me. Or, if you'd rather not share this awesomeness, you can pick-up printable copies of these in my store! 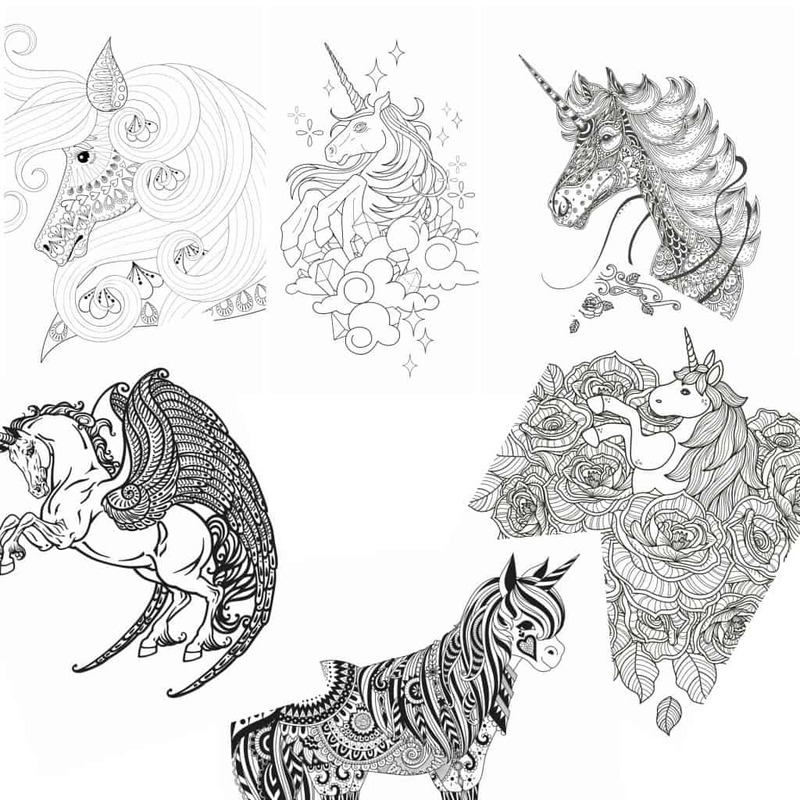 Grab your free printable unicorn coloring pages here. Also, if you’re feeling a little crazy, you should totally find some of the fun unicorn goodies I have laying around here in the blog somewhere. Hunt, peck, find some fun. And then, if you’re still hungry for some coloring fun, you should grab a copy of my 100+ Ridiculously Fun Time-Killing Coloring Pages. Because we all totally need to kill some time and enjoy just laying some color on page, right? !